Pakistan has enchanting natural beauty and Naran Kaghan Valley is one such gem. The valley is now becoming popular with tourists for its untouched charm and feel. A trip to Naran Kaghan Valley is one of the most amazing experience of the world. Holding the magnificent landscapes and enchanting location. Each part of the valleys presents a different look for the other. The dreamy location in the land of fairies is a captivating location for the nature lover and the honeymoon couples who are starting their lives with pleasant memories. The best place for “trekking”, “fishing”, “photography”, “hiking” indeed. Additionally, the Naran Kaghan valley is almost 2500 meters above the sea level. The whole valley presents pleasant weather throughout the year. Even in the harsh hot summers in the south, the weather still mild cold there. Above all, the spell of rainfall on the gigantic mountains of Himalaya then the adding water to Kunhar River through the glacial melt is a view to watch out for. There are numerous places to visit that are full of serenity and tranquility, within the valley but here listed top 5 of the astonishing colorful parts of the valley. 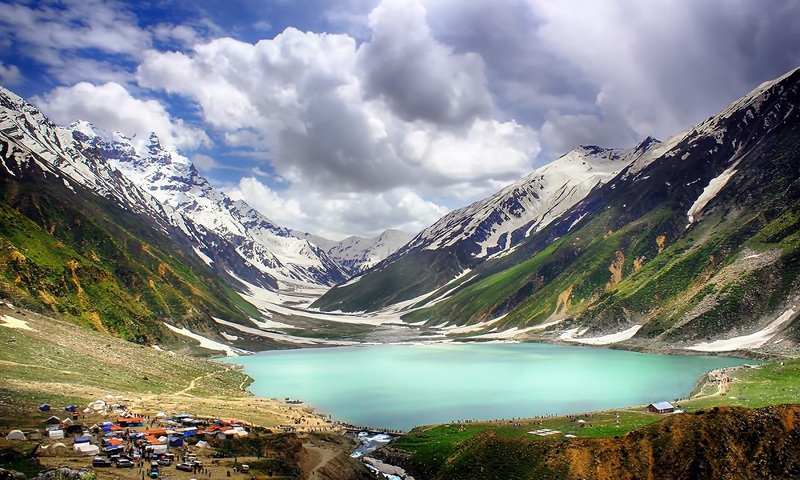 This world famous lake, Saif-ul-Malook is 9 km in length, 50 ft. in-depth, elevated at 3,224 above the surface and can mesmerize anybody with its immense natural beauty. The lake is surrounded by gigantic mountains that give awe-inspiring views which tourist usually prefer for hiking. The lake enhances its beauty in winter with snowcapped mountains and unforgettable views of glaciers. This is a wonderful lake in the lap of Kaghan valley. It is at the highest peak in Kaghan Valley with magnificent panoramic views almost elevated at 3410m above the sea level. 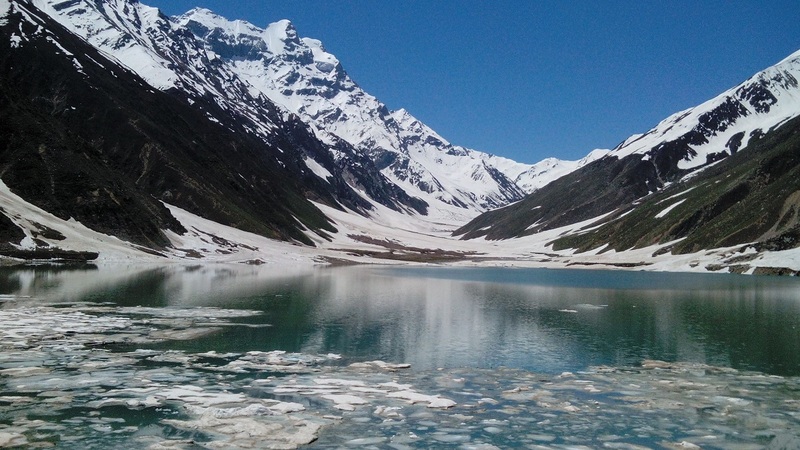 Lulusar Lake is the popular tourist spot in the valley after Saif ul Malook and Babusar top. The fresh, clean water of lake can be accessed by jeep ride, almost 48 km away from Naran. “Hiking” “trekking” “fishing” “rafting” “boating” can be enjoyed there. In other words a perfect picnic spot in Kaghan Valley. 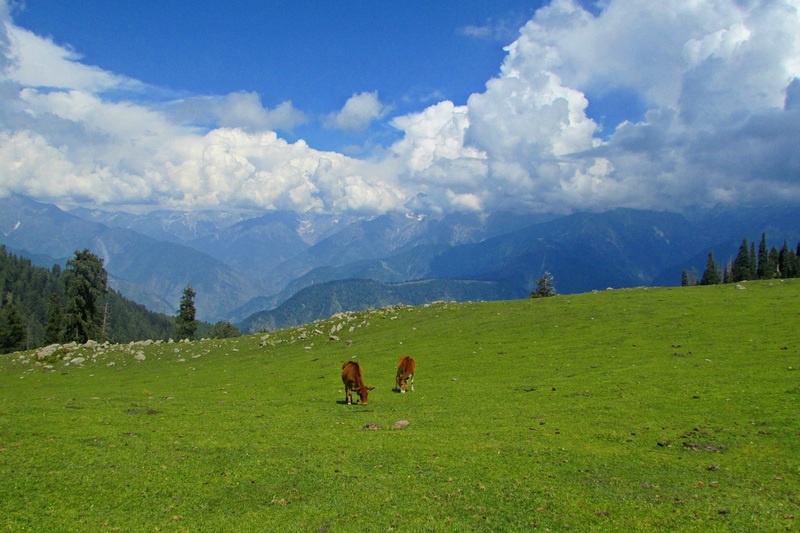 While exploring the beauties of Kaghan Valley, one can’t get off without visiting the grassy lawns of Shogran. Shogran became the most favourite place of tourists because of its amazing scenic view along with the delightful climate. 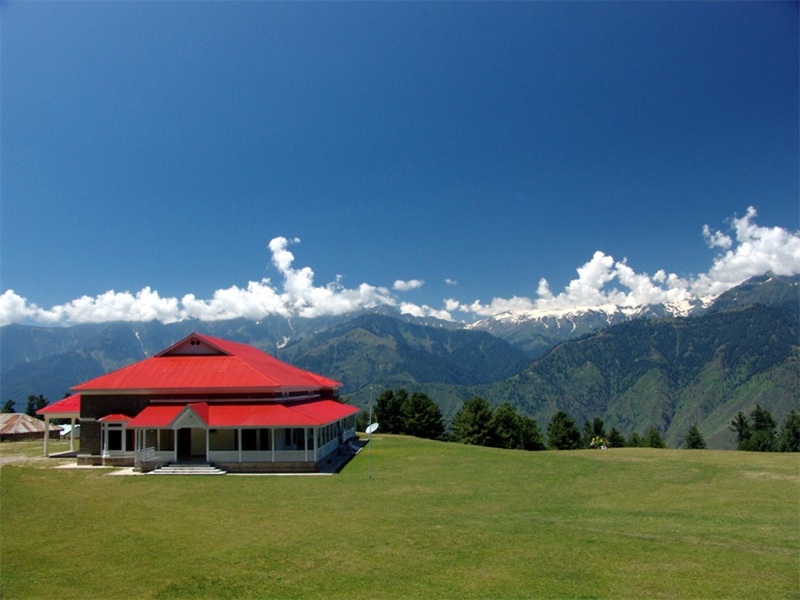 Shogran is 7,749 feet above and offers the panoramic views of the whole valley. Visitors love to relax in the atmosphere which is full of serenity and enjoy a hot cup of coffee in cold climate. Additionally, a number of resort and motels are there to accommodate thousands of tourists per year. Siri Paye is another tourist spot almost 6 km away from Shogran, well known for its lush green meadows and also holds a small Siri Paye Lake. Tourist loves horse riding over there and it became a preference for the tourist of Naran to visit this richly green carpeted lawn of Siri Paye and take a deep breath in the pure and clear air. The Babusar Top is situated almost 70 Kilometers away from Naran. 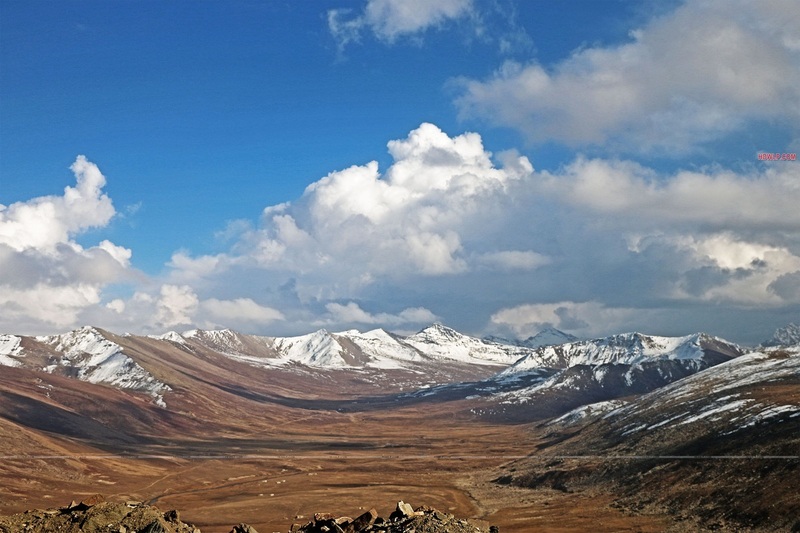 You can feel the cold breeze of the Babusar top in between the giants of Karakorum Mountain Range. One of the best place to visit while exploring Naran Valley. Quite relatable to the wondrous Babusar Top, Lalazar is another perfect picnic point in Naran that offers unique texture landscape along with the most enjoyable environment. The climate is so pleasant over there because of high elevation which is approximately 3,123 metres above the sea level. Moreover, the tall trees and grassy land add more amazement to the view. 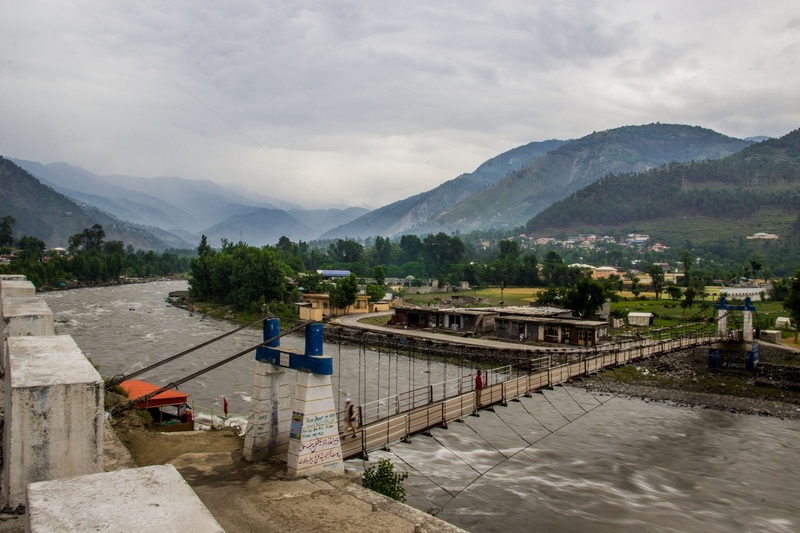 Last but not the least is the Gate of Kaghan Valley, Balakot. 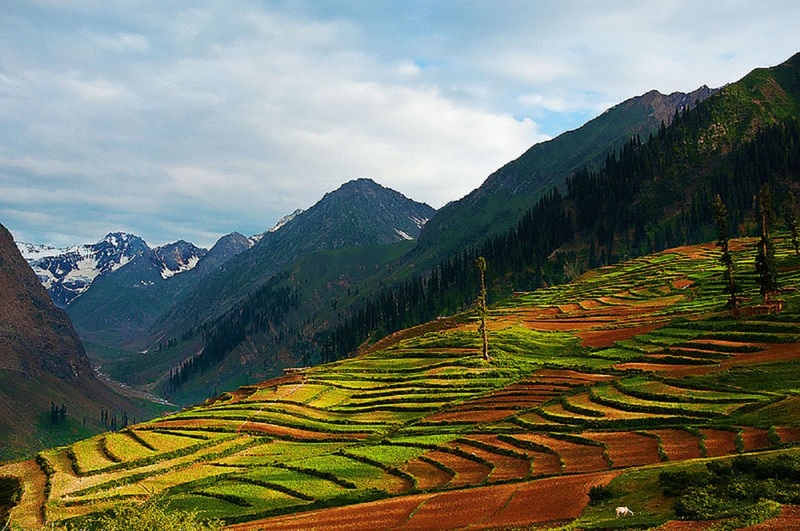 Another beautiful place to witness in Kaghan Valley, the beautiful small town is situated on the bank of Kunhar River at the foot of the mountains that goes thousands of feet above. Without any doubt, the place to visit while exploring the beauties of Pakistan is Naran Kaghan Valley. It is a desirable location for the nature enthusiast, photographer, and trekkers every year. So if you are planning a trip to Pakistan, take a trip to Naran Kaghan Valley once, heaven on earth that hold amazing and enchanting natural sceneries and plus your trip won’t be heavy on your pocket as compared to European countries and once again assuring that the there are no security threats. Thanks..drafted so easily what one wish to write after visiting these undubtly beautiful areas of Pakistan. Set your Foot on Moon without Leaving the Earth!